Spring training is almost over and the season is upon us. Now that baseball is allegedly steroid-free, fans of the sport can finally get back to trusting the players in uniform. This means we can finally stop talking about the A-Rod, Bonds and Clemens sagas and focus on the sport the way it used to be before syringes entered the locker rooms. To all those who complained about the steroid era, remember when only two players hit fifty home runs a year, don’t come crying to us. Whoever reigns supreme in October is anybody’s guess but several teams once again have a legitimate shot to win a World Series title. And last year’s Rays proved that the Cinderella team is alive and well in major league baseball. American League East: The young, Tampa Bay Rays proved last year that anything is possible. They went toe to toe with the big boys all-season long and never backed down, proving that even smaller market, lower-budget teams can still compete against the league’s Goliaths. They have a sharp, pitching staff and several emerging superstars including Evan Longoria. It won’t be an easy task for them to repeat, however, as the Red Sox and Yankees are both loaded. Since baby Steinbrenner does not like to lose, the pinstripes made huge off-season acquisitions landing the highly coveted CC Sabathia, AJ Burnett and Mark Teixeira. Yet they will miss Alex Rodriguez for a few months to a bum hip and likely random photo shoot. The Sox will be equally troublesome. Their starting rotation is so deep, they sent Clay Buchholz to the minors to start the season and he had a spring training ERA of 0.46. This AL East could legitimately see three teams with over ninety wins. The Blue Jays who are always competitive will have an even more difficult time competing with the three beasts of the East and the Orioles will once again be longing for the days of yesteryear. 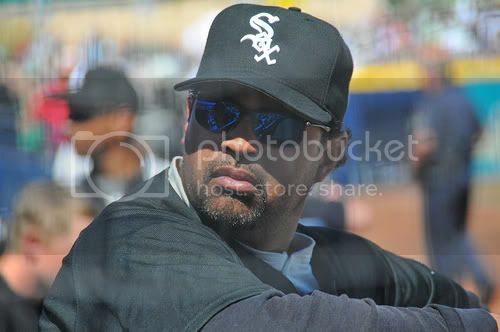 American League Central: The over/under for how many games the Chicago White Sox will win this season is 78. The over/under for how many times their manager Ozzie Guillen will curse in Spanglish in a post-game interview is three million. Take the over. This division should be highly competitive all season long as the Central features no clear cut favorite. Could this be the year the Indians put things back together again? They have the young talent to do so. With Mauer and Morneau, the unassuming Twins are never an easy out. The Tigers will look to rebound from a disappointing season. The Royals hope to surprise people like the Rays did last year, but until they take the field, it’s unclear whether they can be a .500 ballclub. American League West: The Los Angeles Angels of Anaheim – say that three times fast – have owned this division in recent years. It’s as if they lengthen their team name with each division title. Expect more of the same dominance in 2009. For what it’s worth, they finished with one of the best records in spring training. Vlad Guerrero looks to rebound from a sub-par year by his standards. From top to bottom, the Angels should once again contend for a World Series title. The A’s won’t go quietly though, as they look to newly acquired Matt Holiday to shore up the middle of their lineup. 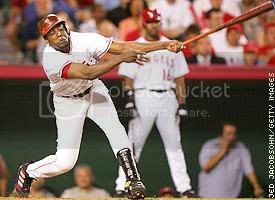 Ken Griffey, Jr. returns to Seattle for what will eventually be his farewell tour and the Rangers hope that Josh Hamilton can continue his phenomenal comeback. National League East: The Philadelphia Phillies are still basking in the glow of their first championship since Mike Schmidt played the hot corner. On the other hand, Mets fans hope they don’t have to find the tallest skyscraper to leap off of if their team inexplicably coughs up another late season lead. The Mets and Phillies have already started the trash talking so things should be tense all season long. Don’t sleep on the Braves or Marlins, though, who will do their best to keep the big city favorites from running away with things. The Mets begin 2009 in their new home. 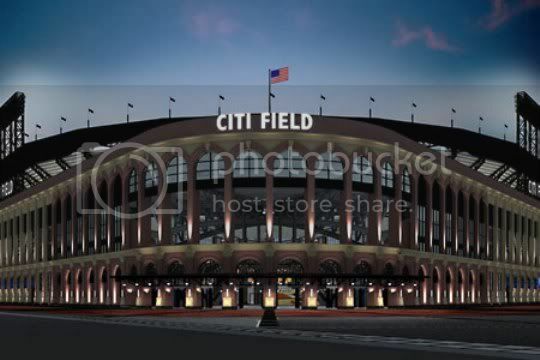 Goodbye Shea Stadium, hello Citi Field. The season-long battle in this division should be so entertaining for its fans, not even Bud Selig could screw it up. National League Central: Cubs fans begin their 101st year of not having celebrated a world championship. They’re hoping this year will be different although even the most optimistic Cubs fans are understandably skeptical. 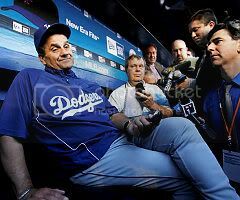 They were handily beaten by Joe Torre’s Dodgers last year before they even realized they were in the post-season. Chicago is once again a heavy favorite to win the division despite the Brewers’ success last season. 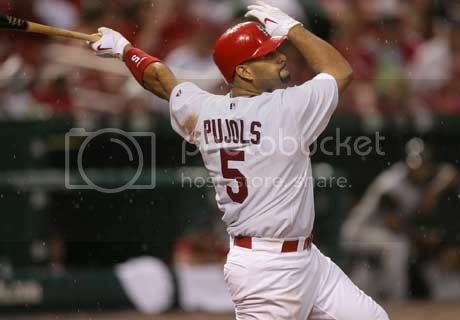 The Cardinals are never an easy out either as long as a man named Albert Pujols is in their lineup. Beware the Reds who may have one of the most promising young pitching staffs in the majors. The Astros and Pirates should bring up the rear of the division, but then again, that’s why they play the games. National League West: Dodger fans all breathed a collective sigh of relief when management decided to re-sign Manny Ramirez. Having ManRam back will keep them in contention. Although that’s a good start, he alone will not guarantee a division title. The Giants, Padres, Rockies and Diamondbacks will do their best to keep L.A. honest. With the wild card team likely coming from one of the other two National League divisions, whoever wins the West should be the only team from this division in the post-season. This entry was posted in Diamond and tagged American League, Baseball, Major League, Spring training, Tampa Bay Rays, World Series by Chris Humpherys. Bookmark the permalink. This site ROCKS, where has the writer been all my life, finally someone that is telling it like it is. ML…. thanks for the kind words and good to see you last night. I promise to give no more poker advice to Martina.